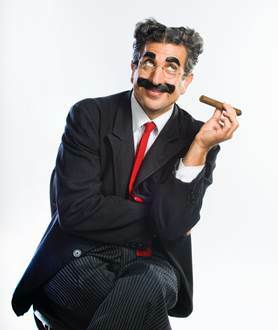 March 1, 2017 [Milwaukee] – Milwaukee Repertory Theater is delighted to make Milwaukee laugh with the global hit An Evening with Groucho starring Frank Ferrante this March 24- May 28 in the Stackner Cabaret. Deemed the “greatest living interpreter of Groucho Marx’s material” by The New York Times, Frank Ferrante brings his acclaimed production as seen on PBS and in New York to Milwaukee. This fast paced 90 minutes of hilarity that is perfect for the whole family features the best Groucho one-liners and songs including “Hooray For Captain Spalding,” and “Lydia, the Tattooed Lady.” Accompanied by his onstage pianist, Ferrante portrays the young Groucho of stage and film and reacquaints us with the likes of brothers Harpo, Chico, Zeppo and Gummo, Charlie Chaplin, W.C. Fields, Marx foil, Margaret Dumont and MGM’s Louis B. Mayer. Called “nothing short of masterful” by the Chicago Tribune, come prepared to be entertained by the true master of comedy. 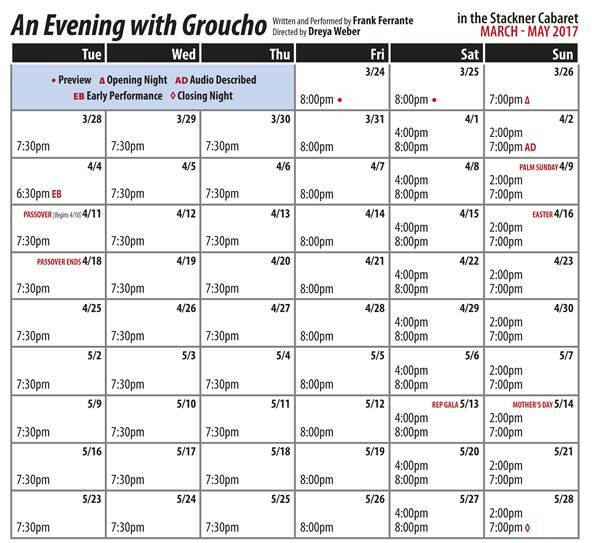 An Evening with Groucho begins performances March 24 and runs through May 28, 2017 in the Stackner Cabaret. Opening night is set for Sunday, March 26. Tickets can be purchased online at www.MilwaukeeRep.com, by phone at 414-224-9490 or in person at the Ticket Office (108 E. Wells Street). An Evening with Groucho is sponsored by David and Camille Kundert. 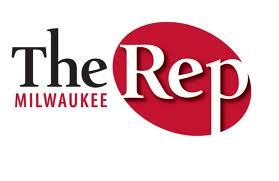 The Rep is sponsored in part by The United Performing Arts Fund. 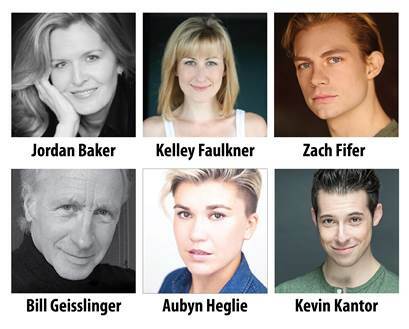 Audio-Described Performance: Sunday, April 2, 7:00pm – the show will be described for patrons who are blind or have low vision.